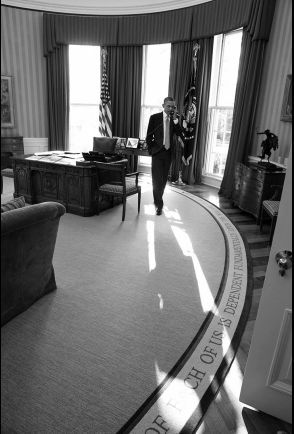 WASHINGTON, Jan 17 2014 (IPS) - In a highly anticipated speech on Friday, President Barack Obama introduced a series of reforms that will place new limits and safeguards on U.S. intelligence gathering, including additional protections for foreign nationals overseas. After weathering months of new disclosures and increasingly strident public criticism about the extent of U.S. spying, Obama on Friday recognised that the country’s National Security Agency (NSA) and other intelligence agencies may have overreached in the aftermath of the Sep. 11, 2001 attacks and the ongoing “war on terror”. At the same time, Obama also stated that the particularly controversial bulk gathering of Internet and phone records would remain in place. “We have to make some important decisions about how to protect ourselves and sustain our leadership in the world, while upholding the civil liberties and privacy protections that our ideals and our Constitution require,” Obama said Friday. In an unanticipated attempt to quell loud criticism from foreign governments and U.S. allies, Obama also introduced a series of changes aimed at protecting non-U.S. citizens abroad – the first time that a U.S. president has taken such steps. “People around the world, regardless of their nationality, should know that the United States is not spying on ordinary people who don’t threaten our national security, and that we take their privacy concerns into account in our policies and procedures,” the president said. It is still unclear how exactly these protections will be implemented, but for now, the directive states that the United States will collect data only for the purposes of detecting espionage, cyber crime, threats to U.S. or allied armed forces, and threats from terrorism, weapons proliferation and sanctions evasion. Yet there remains wide disagreement about the soundness of extending constitutional protections to foreign nationals. Others note that although foreign nationals may not be protected under the U.S. Constitution, their privacy still needs to be respected as a broader human rights issue. The president’s announcements comes in the midst of a historic public debate that first broke out in June when a former NSA contractor, Edward J. Snowden, publicised documents revealing the intrusiveness of U.S. intelligence gathering. And while many have welcomed Friday’s speech, the new reforms did little to quell all calls for action. Others expressed disappointment at the president’s decision to simply reform, but not eliminate, the government’s bulk collection of telephone records, also known as metadata. “The president should stop bulk collection, approach Congress and support the USA Freedom ACT,” the Brennan Center’s Goitein says, referring to a legislative proposal that, if approved, would substantially rein in the NSA’s activities through an official act of Congress. The president did note on Friday that he would include Congress in the new overhaul, either by asking legislators to codify the new changes or by ensuring that lawmakers were part of a rigorous oversight mechanism. However, Goitein warns that Congress should be included only if this will lead to actual reforms, and not as a way to avoid progress. “The president should go to Congress to tighten the law and to ensure that no other administration will do this in the future,” she says, noting that if the president had really wanted to end bulk collection, he could have done so during Friday’s speech. During this initial period, the attorney-general and the rest of the intelligence community will look for an alternative mechanism to replace the NSA’s storage mechanism. It is still unclear whether this will be a single third party conducting the government’s surveillance or a group of private companies and contractors. Ultimately, Friday’s speech was a notably public look at some of the United States’ most highly classified programmes, highlighting an already startling distance from the days prior to Snowden’s leaks.